Leslie is an approximately 4 year old brindle female. 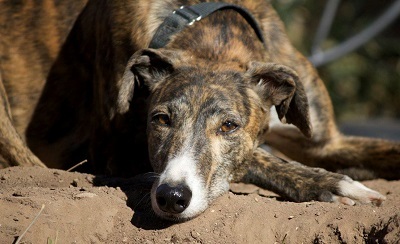 Leslie was found as a stray in Oklahoma and brought to GALT. She has just finished her medical procedures and should be available soon. Leslie passed her initial cat test and it is not known if she is small animal tolerant at this time. Stay tuned for more info.